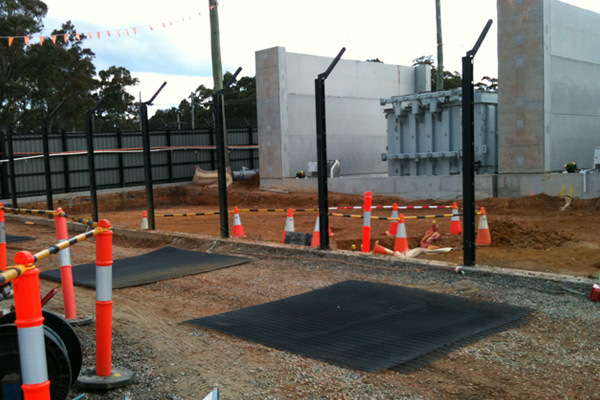 This project involved the extension to the existing live Nowra Zone Substation by constructing a connecting 11Kv Switch Room. 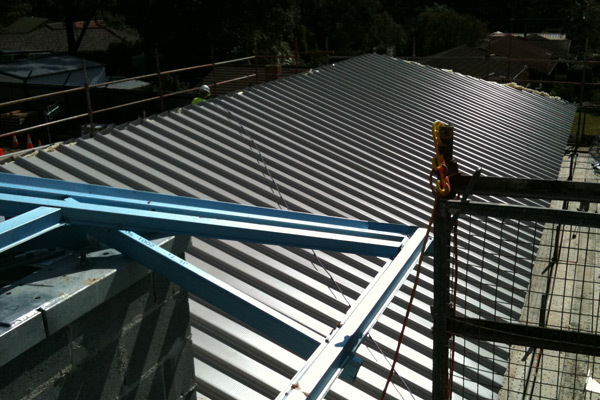 The roof of the existing building was lifted, the existing façade encased in new face brickwork and perimeter of the building provided with a new concrete walkway. 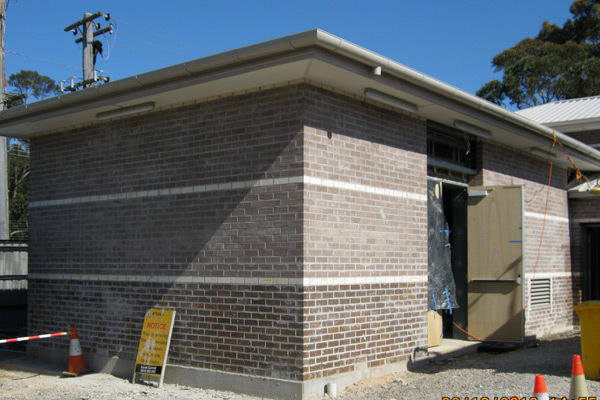 The new 11Kv Switch Room included the excavation and construction of a cable basement, suspended concrete floor slabs, reinforced concrete block walls and steel truss roof framing. The façade consists of face brickwork and glass blockwork. Due to the site being within the confines of a live power station with possible unmarked underground services, all excavation was carried out by use of non-destructive methods (water blasting) and machine excavation in 50mm deep increments.